Vietnam rice bowl. Attempts to regulate the river and build power plants upstream affect sediment transport and then sea waves erodes the coastal strip. 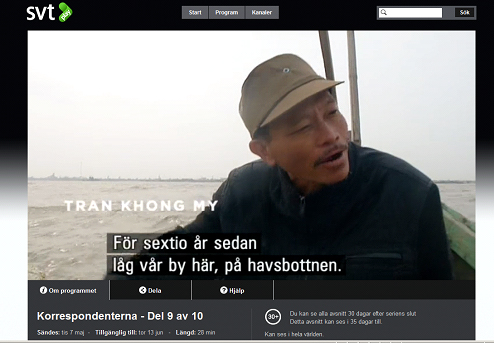 Erika Bjerström on SVT went to Vietnam and documented this but called it climate change. The technique she used was to interview a fisherman who had their leased land destroyed by the waves. For him something gruesome happened, the climate must have changed was his thought and he had certainly like others heard about rising sea level. Most likely, he has not heard of diminishing quantities of sediment to the delta or that the delta sink even if it is slow. The salt water increases in wells, we also heard. For him, it is clearly a tragedy. But why use this tragedy to defend climate alarmism. We read a statement made by the researchers. Saline and brackish groundwater is widespread in the delta and in many areas fresh and saline water tend to mix both within and between aquifer layers. The salty water is mostly derived from when the delta was forming in a marine environment during past interglacial periods when sea levels were higher than present day (Deltares, 2011). In the western and northern parts of the delta, groundwater is predominately fresh where salt water has, over millennia, been flushed from the system. In coastal areas groundwater is generally saline, both naturally and because of salt water intrusion caused by excessive pumping to serve the fresh water supply demands of the surrounding communities(Phuc, 2008; Hung et al., 2000). A global comparison found that the Mekong Delta is currently sinking by as much as 6mm per year primarily as a result of groundwater extraction, overwhelming the rates of sea level rise (Syvitski et al., 2009).The Ministry of Natural Resources and Environment (MONRE) web site also reports the unchecked use of bores has caused localised land subsidence and pollution problems in the delta.The end result will be increased vulnerability to natural disasters and climate change. A comparison: For example, compaction in the Chao Phraya Delta in Thailand has ranged from 50 to 150 mm/year as a result of groundwater withdrawal (Saito, Y et al., 2007; USGS2009). Aquifer compaction as a result of regional groundwater level decline is a particularly serious risk. The ground compacts when people take up too much water, the surface level drops. A comparative study between the Mekong and Mississippi. River sediment is the lifeblood of deltaic ecosystems, providing nutrients for agriculture and fisheries, and sustaining coastal wetlands. Sediment starvation caused by dams, navigation, and flood control structures compounds problems of subsidence, or sinking of the ground surface, that increases the vulnerability of deltas to sea-level rise. Capturing sediment before it reaches the delta can have unintended consequences, including high rates of land loss, coastal erosion, and sinking cities that are more vulnerable to flooding. In the Mississippi Delta, sediment delivery to the coast has decreased 50% in the 20th century, particularly after the construction of levees and major dams. With these essential minerals and nutrients no longer reaching the coast, the Mississippi Delta is experiencing a staggering rate of land loss, coastal erosion, and subsidence. Similar to the Mekong Delta. This is currently being studied. 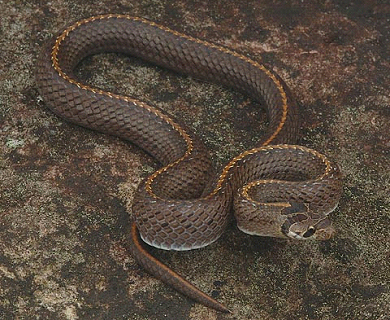 One of the new snakes species found in the Mekong region.